A lot of people asked us on their comments the question what is iCloud well we’re going to take a few minutes here in this article to explain all the ins and outs of Apple’s iCloud service and how you can take advantage of it for years people wanted Apple to release a product similar to Dropbox you’ve probably heard of Dropbox and what it is. it’s a service that syncs all of your documents across all of your devices so whether it’s on an iPhone iPad or your computer you’ll have the same documents synced throughout those devices so that any changes that take place on one device trickle down to the others now I took awhile for Apple to get all the puzzle pieces in place but it finally has a service that can do all that and it’s called iCloud. How to sign in or log in to your iCloud Account. In the address bar, enter the web address www.icloud.com. And hit the Enter Key and the iCloud Homepage will load. iCloud is basically your cloud storage provided by Apple Inc for all your Apple devices. 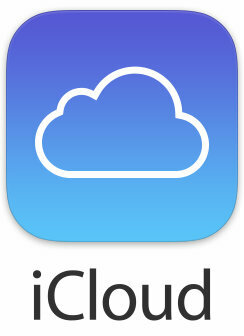 Now, you will see that the login screen appears on the iCloud Homepage itself. Enter your Apple ID. And Enter The Password. While signing in you can either Tick or Untick the option just below to the login bars. It is better for you to untick the option if you are using a Public Computer or someone else’s phone to sign in to iCloud. Click on the Sign In option. And you are signed in to iCloud. You have done all with it and now you can do all the kinds of stuff with backup your contact and much more. So, friends, we hope you enjoyed the article. If you have any queries about any tweak or tricks you can comment on the comment box. Follow Us On Facebook iosbuckets or also on Twitter iosbuckets.